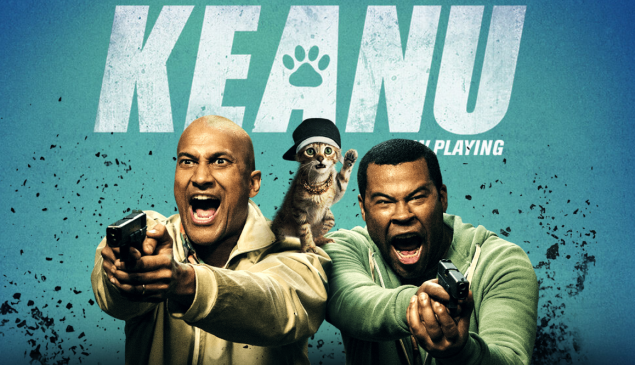 Is Key and Peele’s Keanu Hollywood’s First Pro-Feline Film? This article talks about the extremely negative representation of cats in Hollywood movies, and celebrates Keegan-Michael Key and Jordan Peele’s Keanu as a movie that finally tears down the horrible cat stereotypes. The stereotypes about cats and dogs are closely tied with stereotypes about women and men, respectively, and all should be torn down and abandoned by Hollywood (and those watching Hollywood movies). As a cat lover, this topic is of course very dear to me, and I’d been noticing it and thinking about it for years. I’m very proud for finally putting it on paper and getting it published, and I’m so glad Key and Peele, and Hollywood, finally made a pro-feline film. Read “Is Key and Peele’s Keanu Hollywood’s First Pro-Feline Film?” on the New York Observer.